Garden landscape construction is not just building some individual structures. This is the entire process of shaping your living space. It requires the coordination of the work of a team of specialists which have a wide range of skills, qualifications and experience in joinery, carpentry, earthwork, masonry, bricklaying, tiling, gardening and many other areas. From administration, through logistics, to installation works, it is a complex project management process which aims to achieve the final effects planned at the design stage. "How much does landscape construction cost?" And as with the cost of a house or a car, it’s just as hard to answer it without knowing the context. Everything depends on the size, design complexity and the materials used. 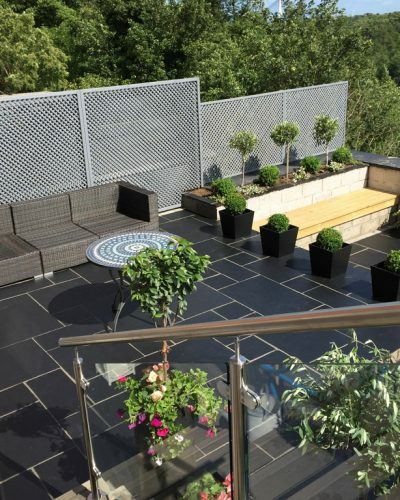 Therefore, the landscape construction of a garden may cost anything from £5000 to £25000 and more. That is why it is so important to determine what you want to achieve and how much you are willing to spend at the design stage. This will allow the efficient use of space, the appropriate selection of materials and thoughtful spending. There is nothing worse than unplanned, clueless actions without precisely determined goals. They usually cost twice as much and yield terrible results. 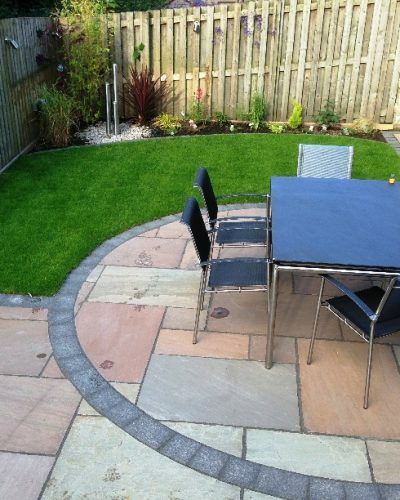 Hard landscaping (paving, walls, and joinery) is more expensive than soft landscaping (turfing, planting). Adjusting the ratio of those can make a significant difference. Our experience shows that it costs between £5000 and £10000 to design and landscape a small garden (up to 100m2). The same process in case of a medium suburban garden (100-200m2) would range between £10000 and £15000. The cost goes up when dealing with larger areas or where the complexity of structures is high. However, the most important is to work out how much you can afford to spend. Use professional advice in order to maximize the budget for the best result.